ShipTime Will Change the Way You Ship! 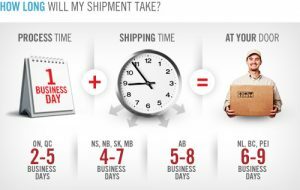 ShipTime is a web-based tool that lets you compare shipping rates, schedule pickups, and print shipping labels, helping your business save time and money. Is your business spending too much on shipping parcels or envelopes? Do you wish you could get better rates like large companies? Are you tired of getting quotes from multiple courier companies looking for the best price? ShipTime: Compare Rates. Schedule Pickups. Print shipping labels. Save a bundle. As a member of ASSOCIUM, you’ll save even more!